......globally known for its quality of live and its "muscat". The "autoroute du soleil" and historic and lively Avignon (TGV) are reachable within a half hour’ drive. Marseille with its international (low-cost) airport in located at about an hour’ drive. The main house and the independent rooms are quietly located at the edge of the picturesque village center. On the south side the property is bounded by vineyards. 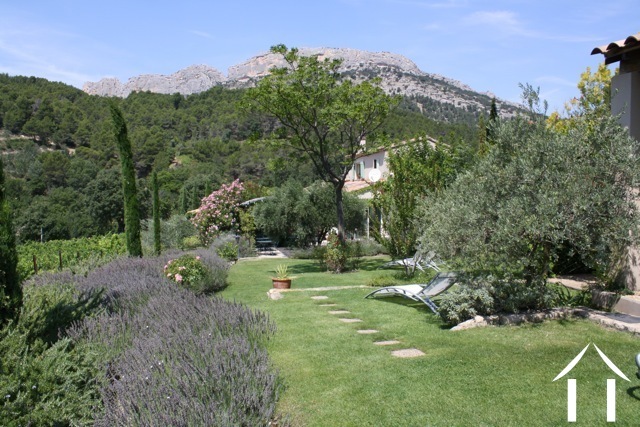 The beautiful and lush landscaped Mediterranean garden (1,426 m²) is relatively maintenance friendly and seems to merge with the nearby nature. The property comprises a built-up area of over 300 m². The main building contains the semi-professional kitchen and the owner's residence. 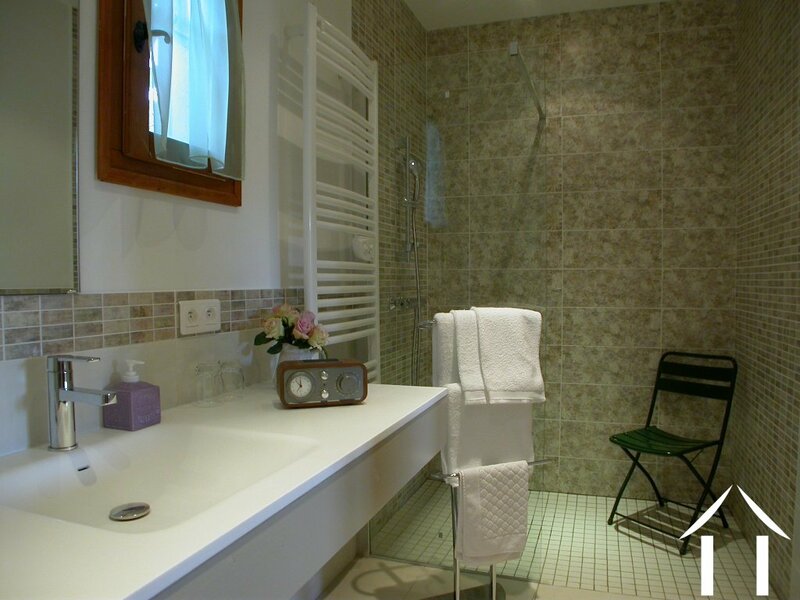 The nearby outbuilding offers 5 luxurious and comfortable rooms, each with its own entrance, terrace and bathroom. In addition, there is a garage, a laundry room, 2 technical areas and numerous terraces. 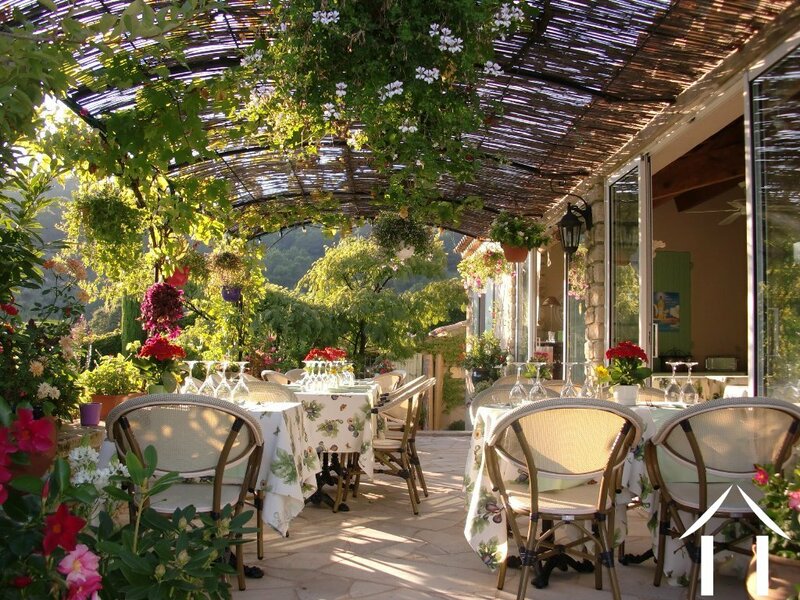 Almost everywhere, such as, for example, under the with grapes covered handicraft-made metal pergola, stunning views are obtained on an unspoiled Provencal landscape. Previously, the property served as a small-scale hotel with restaurant. Today, it is proposed a house with a “B&B” activity. Due to their personal situation, the actual owners made the choice to only receive guest during a limited period of the year and managed in this way to create a comfortable turnover. By stretching the opening months and by creating side products this turnover offers still enough potential to grow. The guest appreciations and scores on the different websites are perfect and seem to provide a guaranty for a prosperous future. The buildings find their origins in the 1990s and were built in a traditional regional manner. Since 2010, various improvements have been made in order to match even better the today's (comfort) standards. For example, almost all rooms are now equipped with air conditioning, alarm and international high definition television, and several bathrooms have been refurbished. The property is in good condition and is therefore directly habitable. 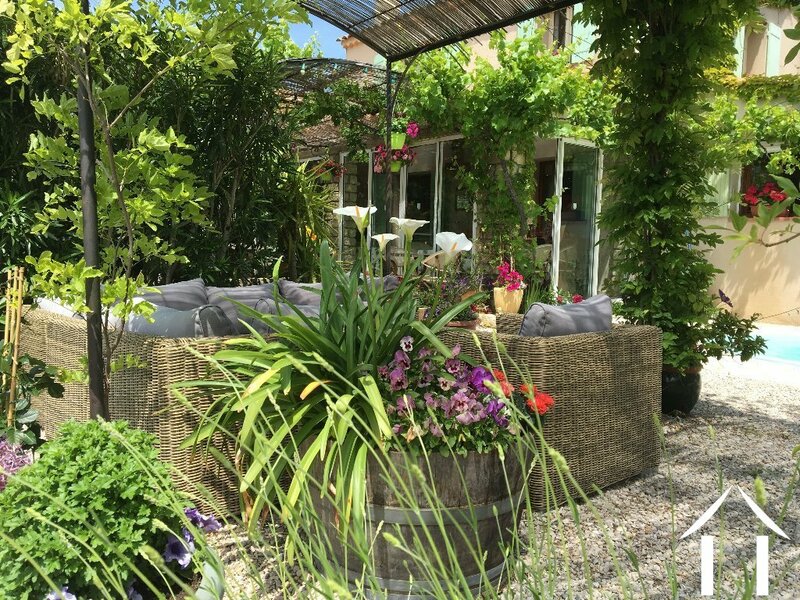 The garden (1,426 m²) is a real asset to this property. It offers numerous (leafy) terraces and seats to enjoy the climate and views. 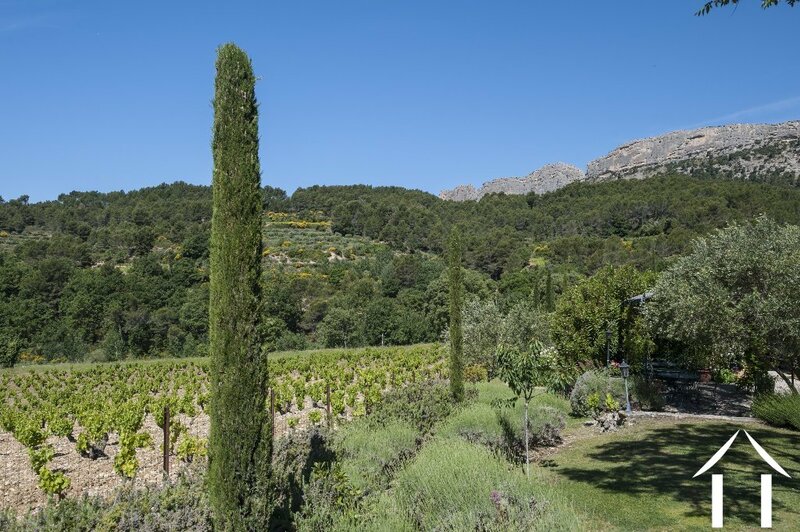 In addition to the various flower beds and the natural stone walls, it offers a mature Mediterranean vegetation, including various olive trees, cypresses and oleanders. The irrigation system contributes to a lush flow of flowers which, thanks to the outdoor lighting, is also be admired in the evening. 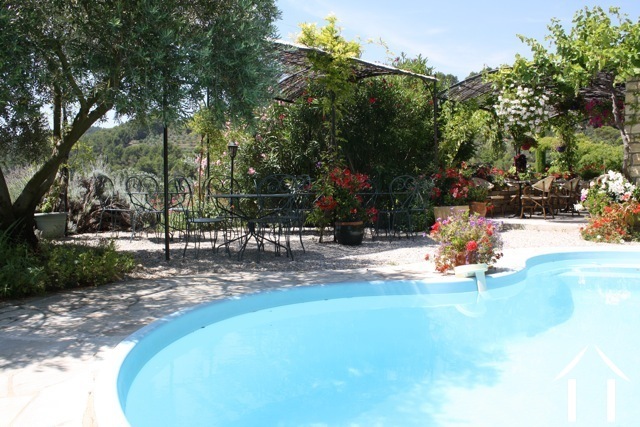 Between the main house and the detached guest rooms is an intimate swimming pool surrounded with privacy-full terraces. A unique and maintenance-friendly investment opportunity on a privileged and exceptional Provençal setting with numerous possibilities! Completion date in consultation. Additional pictures and information on request. Viewings by appointment. Exclusive offer.